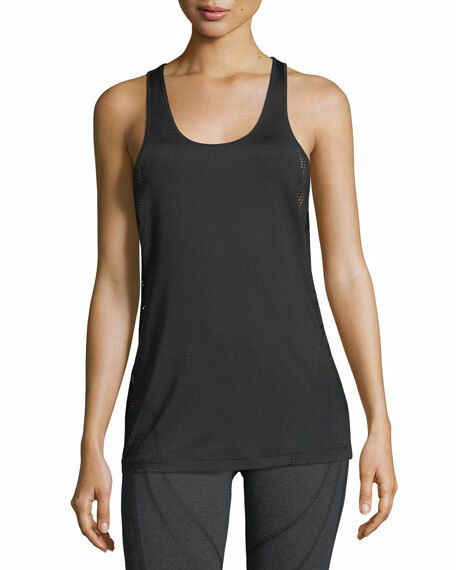 Vimmia "Drill" jersey tank with mesh inserts. Taking its name from the Latin vim, meaning "life force," Vimmia embraces a healthy and balanced lifestyle that connects mind and body. Offering high-quality activewear that combines form and function, Vimmia encourages self-confidence and motivationwhether in a gym, studio, or outdoors.